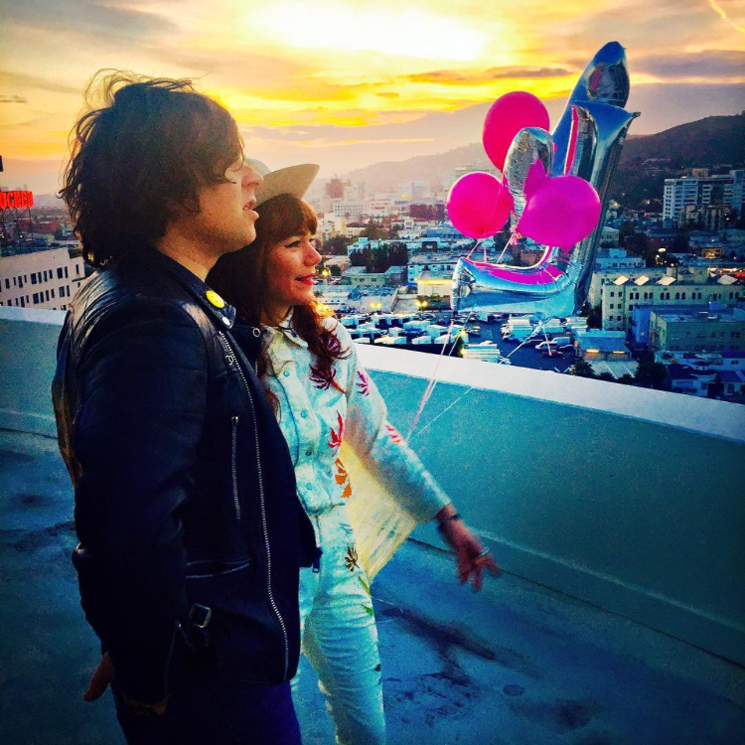 Ryan Adams served as a producer on Jenny Lewis's 2014 LP The Voyager, and as a glut of recent Instagram posts by the songwriter show, the two have teamed up once more in recording Lewis's follow-up. Over the past few days, Adams has been sharing photos and videos from the sessions in Los Angeles at Capitol Records Tower. Other notables that appear in Adams's snaps include producer Don Was, drummer Jim Keltner, and Benmont Tench of Tom Petty and the Heartbreakers. Adams sang praises of Lewis's forthcoming material with Zane Lowe [via Stereogum] back in January, saying on Beats 1, "She has amassed an incredible arsenal of songs for her new record and I think she's still on the search, but she's close. It's unbelievable, it's really next level. I think it sounds like, if you're a Jenny Lewis fan, imagine if she wrote Blonde on Blonde or something. It's super detailed, it's next level, which is crazy." Find Adams's behind-the-scenes looks below.